During my surprise “Birthday Month” Patty took me to see the opening of Indiana Jones and the Kingdom of the Crystal Skull. I like Harrison Ford. Whether he is playing Indy or Jack Ryan or running from Tommy Lee Jones in the remake of The Fugitive I like Harrison Ford. Sometimes we go to movies for the “cult” like experience of following a hero – think Rambo, Spiderman, or Batman. When some of the early reviews thought it best to leave the series with the last episode, I wanted to see it anyway. After enjoying the latest episode I set to thinking about the criticisms. Especially the notion how the inclusion of references to Russian Communists, UFO’s, and alien beings were “unbelievable.” The issue for me became one of context and contextualization. I could not help but think of the debates over the matter of context and contextualization when it comes to the Gospel. Many critics of contextualization are the same who contend context is everything. Seems like wanting your cake and eating it too. The tools of exegesis I learned in college and seminary came to mind when I heard Barry Taylor describe how we should watch a movie. He noted we should not miss even the first minute and a half of a given movie. The producer and director often tip the hand toward something in those moments where our attention has not yet settled into the screen. (For a test, take in M. Night Shymalan‘s newest “The Happening” and see if you do not detect something in opening moments that connect with one of the central features of the movie.) You know, getting the popcorn just right and making sure not to spill the soda. The result of my participating in a course on Theology and Culture with Barry intensified my tendency to “think” while watching a movie. My wife and kids often wonder if I can watch a movie without an occasional, “hmm.” It is often asked, “Can’t you just enjoy the show?” I “am” enjoying the show. If we are watching a DVD at home I just might have a “Moleskine” handy to write down some thoughts about the movie. For me the over the top stunts and the woven storyline make perfect sense when one does not miss the context. Early on the date signals the setting of the movie – 1957 – noted at the bottom of the screen. I was influenced by some of the same “paranoias” present for the setting of the movie though not yet born in 1957. “The Russians are coming” meant something in the Cold War days of my childhood and youth. Curiosity over flying saucers, UFO’s, and aliens were not uncommon. Fear over “testing” in the dessert left us always wondering just who would “push the button” first. Add in the Weissmuller like Shia LaBeouf and immediately I recalled the most popular years for Tarzan. The scene in the soda shop where a fight breaks out between the college students and the “Fonzie” styled young people and many would be transported back in time and the context would not be so foreign. Context means something. Working with the Scripture must take into consideration context. Apart from context we may offer endless speculations eventually leading away from a better understanding of an event, series of events, or a given letter. Contextualization aids in communicating a reality context reveals. 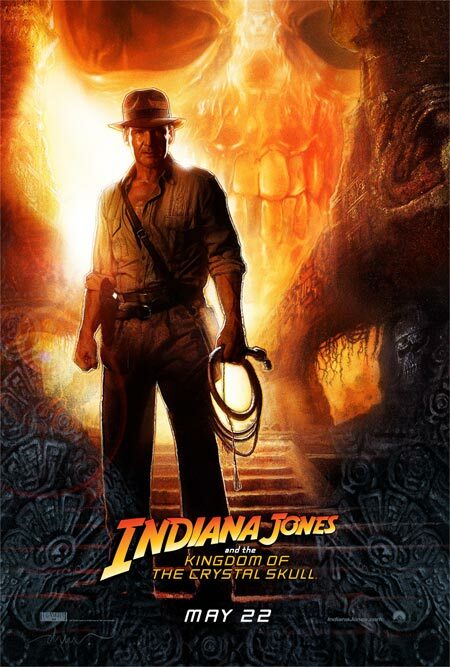 And … for those of you Indy fans, I would not mind of Shia became the new Indy. They are still looking for the next Connery or Moore for Bond. LaBeouf seemed to fit the role well.